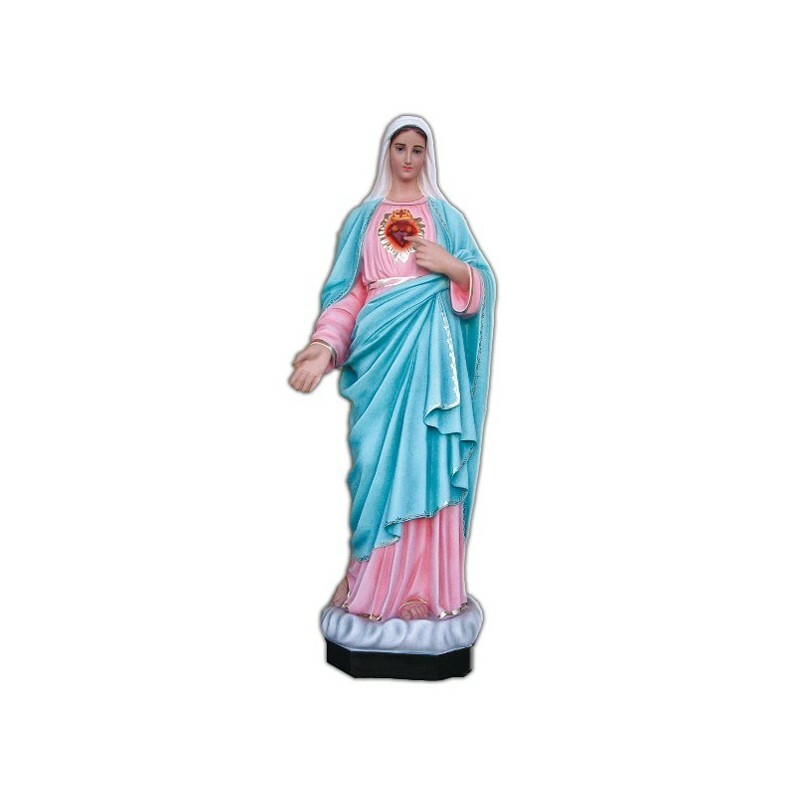 Statue of the Immaculate Heart of Mary 130 cm. 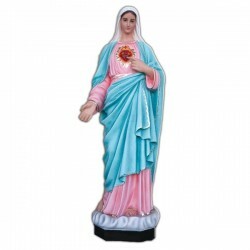 Statue of the Immaculate Heart of Mary, 130 cm of fiberglass, handmade in Italy. The origin of the cult hails from Luke the Evangelist who described the Mary’s heart “as a trunk that contains the holy memories”. In 1640 in Naples in the Confraternity which was dedicated to her, it began her public cult. The Virgin appeared twice to Lucia Dos Santos on the 13 of June 1917 and on the 10 of December 1925. Her commemoration was established in 1805 and since 1944 it is extended to the entire Church. In 2000 his commemoration became compulsory. She is illustrated with a white clothing and a light blue mantle, with a hand ahead and the other on her chest.